Please make #OBE2018 a matter of prayer! 2:00-4:00 p.m. Registration, get cabin assignments, Pay fees, then free time. NO ONE enters camp until all fees are paid! Sponsor(s) must be at the pool for your group each swim time. 5:00 p.m. Superintendents meet with sponsors., Program Chairman and teachers meet also. 6 p.m. Time to Eat!!! Guest Program. 7:30 Worship Service in the Tabernacle. 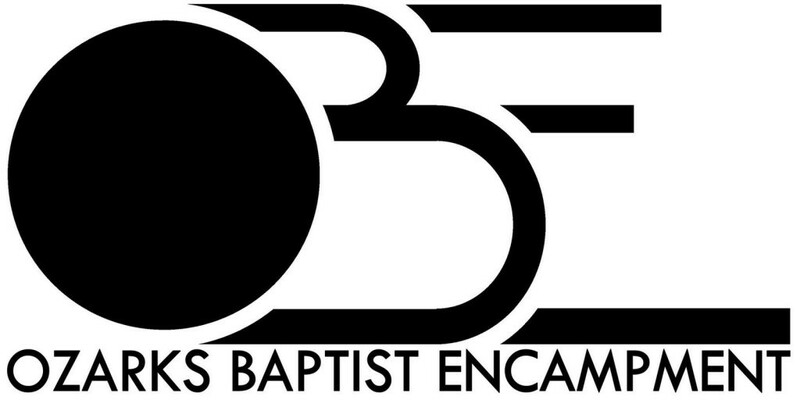 ALL campers (all ages) are required to attend evening worship services each night! 10:00 p.m. Cabin Devotionals. Sponsors please control this. 10:30 p.m. Lights out, time to be quiet and go to sleep—no one is to be outside of their cabins. Campers: phones OFF until after breakfast! 7:45 am Meet in Tabernacle. Time for prayer, devotional thought for the day, & wake up songs. 1:30 pm Class Tuesday: Meet in Tabernacle to get class assignments and locations. Class time is 45 minutes. ALL campers (all ages) are required to attend their respective class each day & church group time! 2:30 pm Quiet Reflection Time in your own cabin. No one outside of their cabin. Personal time with God. We will take a special offering on Wednesday night for Missionary and/or Guest Musician for the week. 7:15 am Last day. Get up and packed to leave! 7:45 am Meet in Tabernacle. Check-out and Clean-up instructions. 8:00 am Continental Breakfast. Clean Tabernacle, Dining Hall, Cabins, Grounds, and Study Areas. Inspection of cabins and outside areas. 8:30 am Meet in Tabernacle for Awards. After the Awards Program, Camp officially ends as your group is approved for departure. Please note that each division will compete each day! Genesis 37-50 is where Bible Quiz questions will be taken from for 2018. Churches may use any translation for study and answering questions--please inform judges which translation you used. Swim Times: Sponsor(s) must be at the pool for your group each swim time. 4:30 Sponsors & Small Children. Schedule changes will be posted at the front of the Tabernacle. OBE update: OBE executive committee wishes to inform everyone that 2018 will be our final year at Grand Lake Baptist Assembly campgrounds. We know that God is in complete control and are excited about the new opportunities God is bringing to us. We have already been able to see a couple potential new locations and plan to make a formal announcement this summer at camp for 2019 and beyond for OBE. One of the greatest benefits of a new locaiton means OBE can combine back to a single week with even more potential for growth! Please be in prayer for this exciting change...more information will be coming soon!